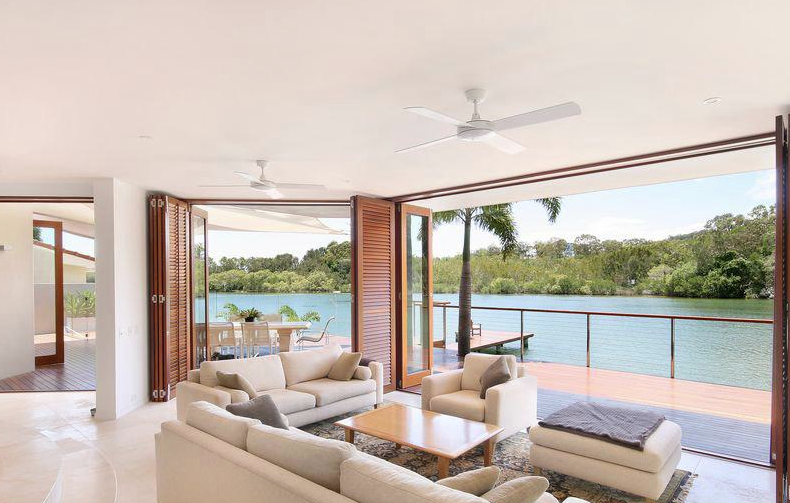 This stunning 4 bedroom home offers wide river frontage complete with a large sandy private beach. 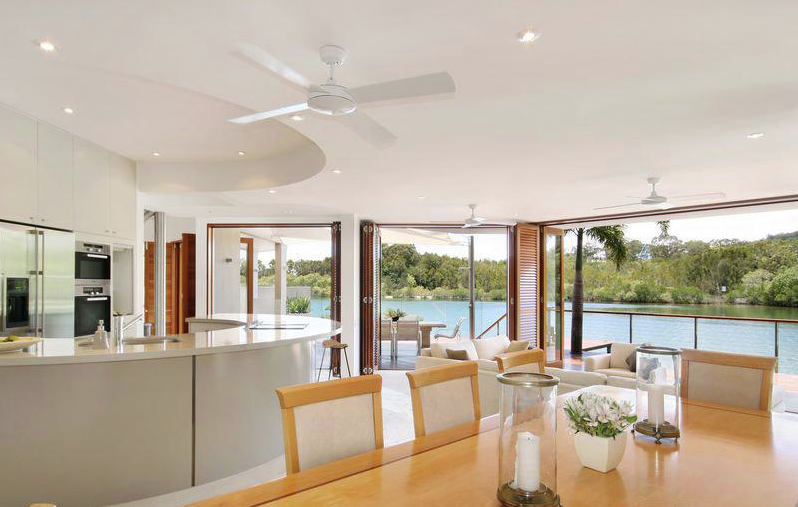 A contemporary design with open-plan living and high ceilings which encourage the flow of cool breezes throughout. 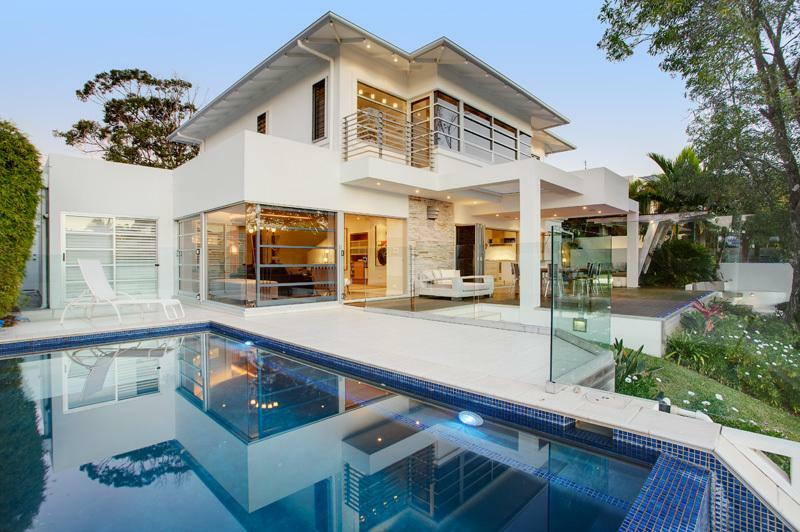 It is a home were guests return time after time. 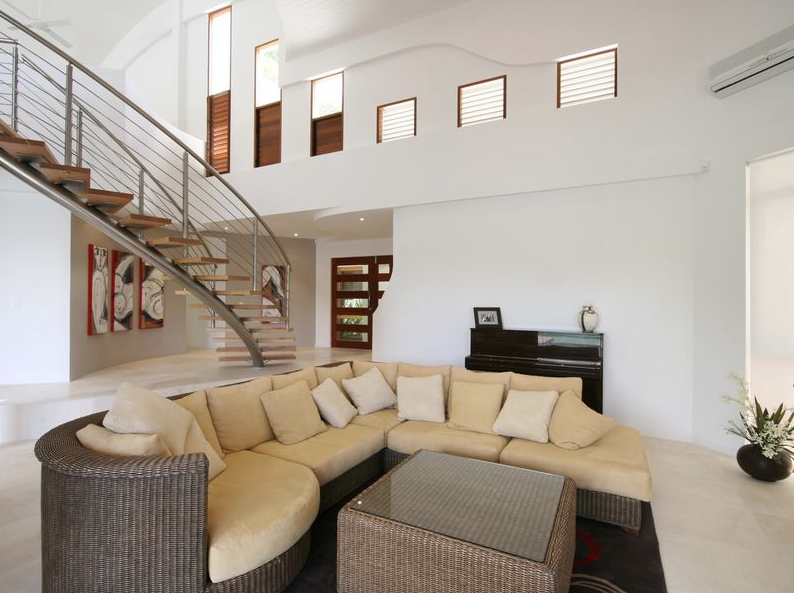 Facing north-east allowing plenty of winter sunshine to pour through the large doors. 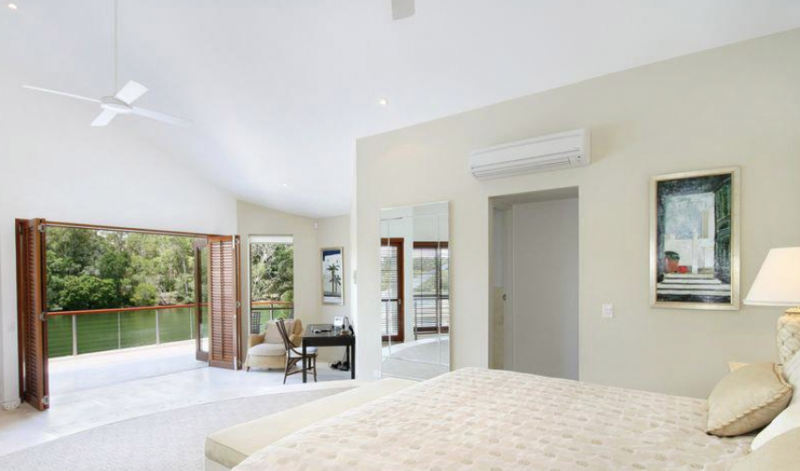 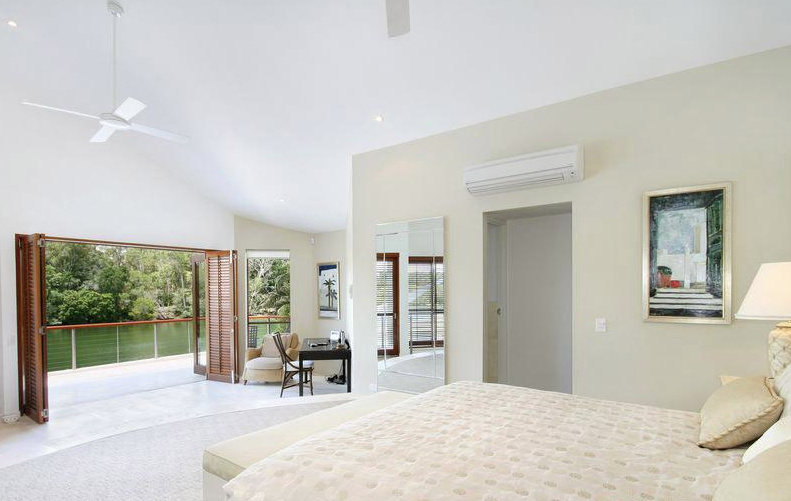 The master bedroom occupies the entire top floor and features a large private terrace with superb water views. 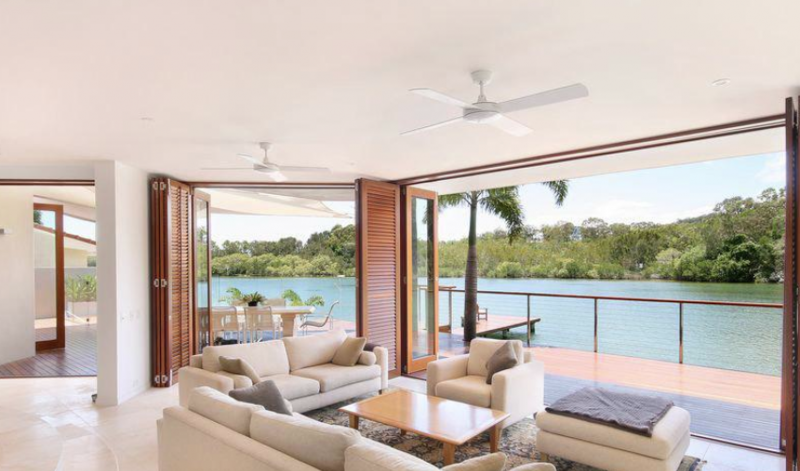 There are many notable streets on Noosa Sound. 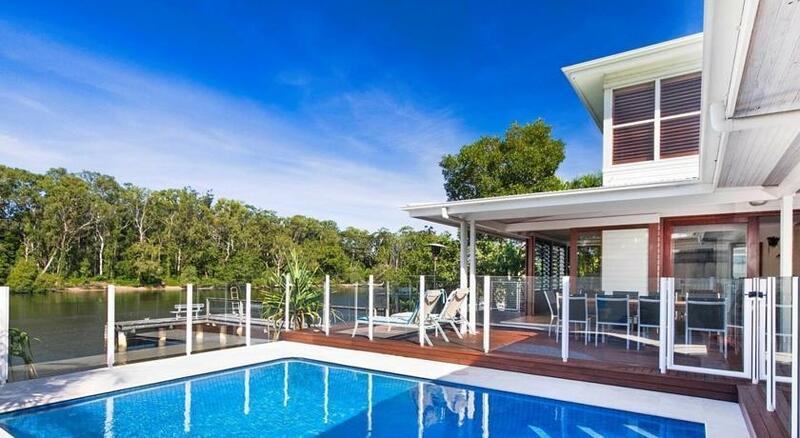 Noosa Parade is the main tree-lined avenue running all the way from Hastings Street to Noosaville. 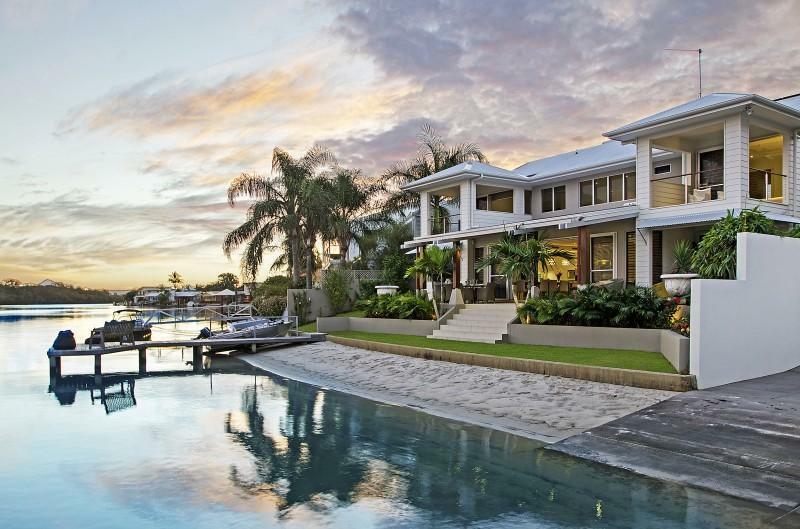 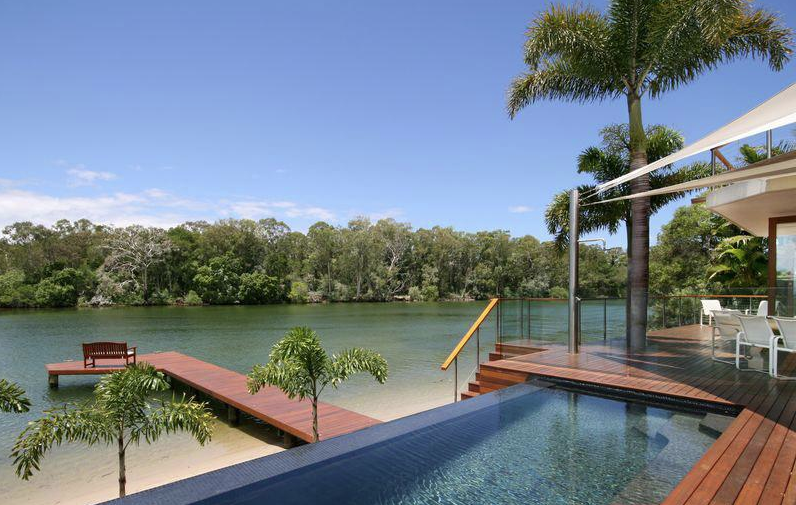 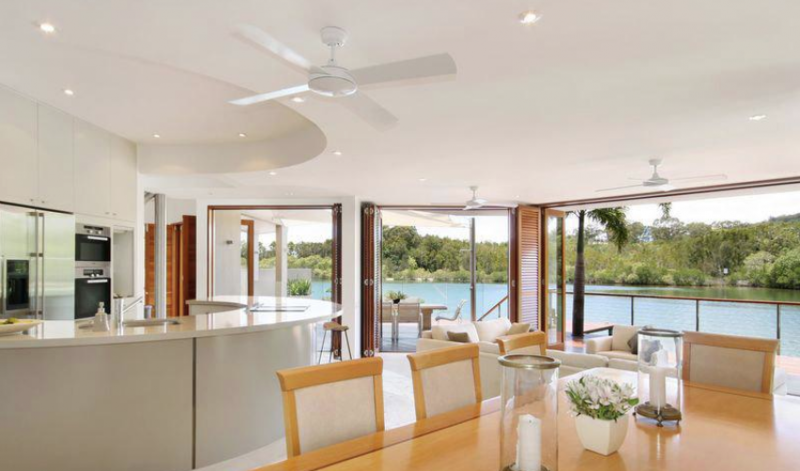 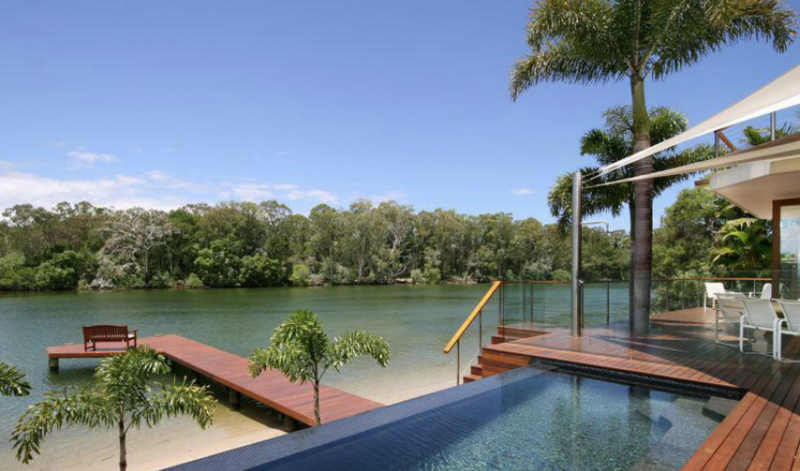 It features several hundred metres of prime deep waterfront property not found anywhere else in Noosa. 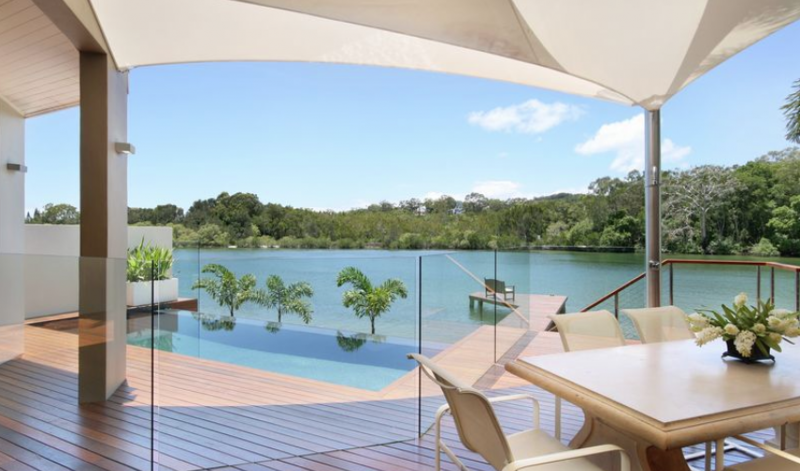 As a result the homes and apartments along this stretch attract amongst the highest prices in Noosa. 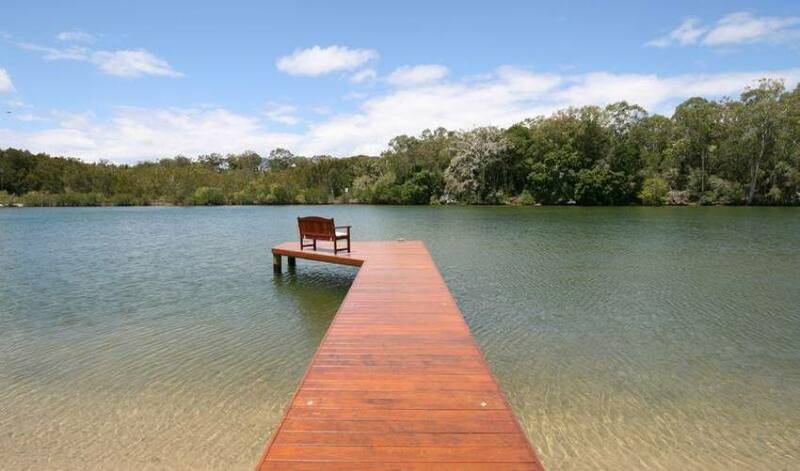 Relax in style and comfort, do some fishing from the jetty, go for a swim or paddle right out front. 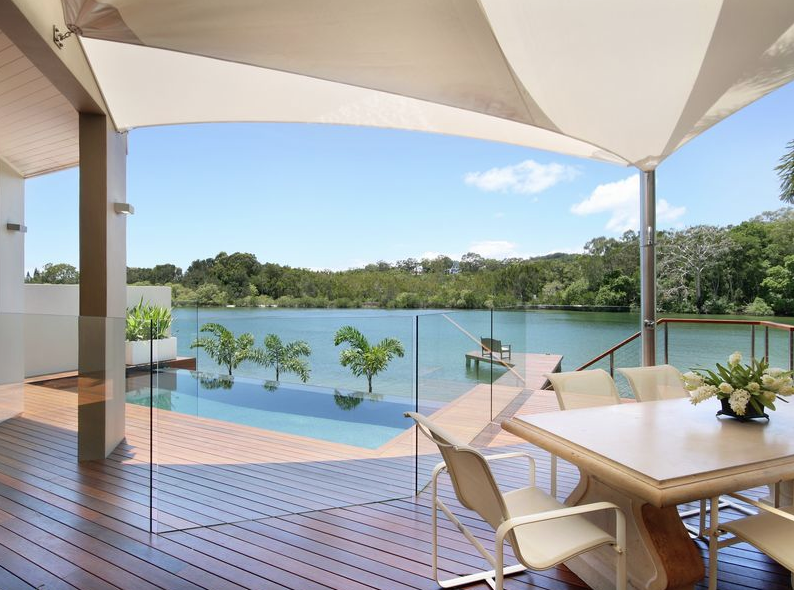 The shops, beach and restaurants are close by. 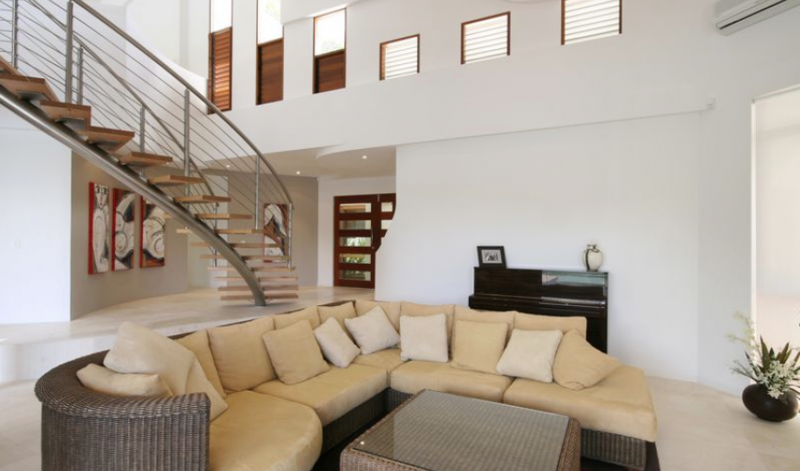 The home is beautifully furnished in true luxury style. 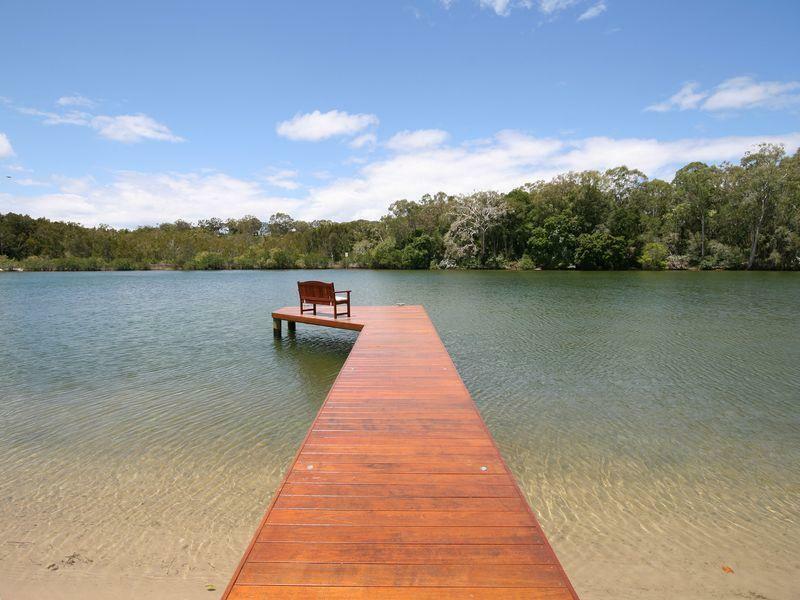 Highly appealing, truly outstanding and simply magical.